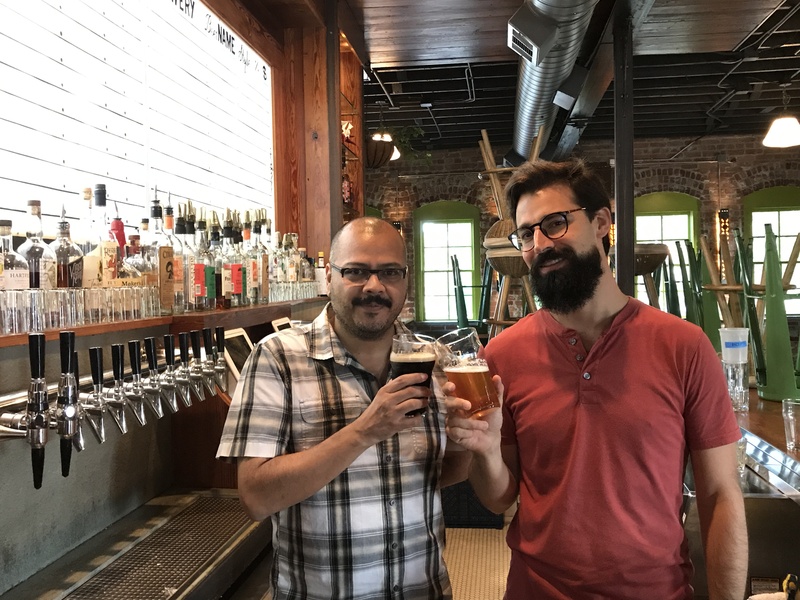 Opened by Brandon Ley and Johnny Martinez in 2016, Georgia Beer Garden offers over 110 beers and ciders exclusively brewed in Georgia. Longtime friends, Brandon Ley and Johnny Martinez wanted to offer a platform for local brewers to help grow their businesses, and opened Georgia Beer Garden to support the state's fledgling craft beer industry. 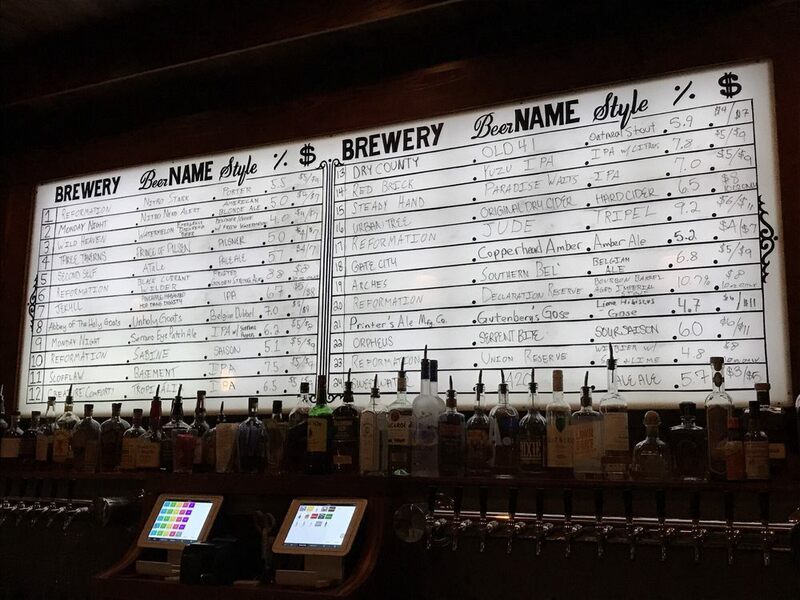 They wanted to create a space for community and conversation, and as a result, the televisions that often adorn pubs and bars are intentionally absent. The duo prides themselves on having infused the space with a sense of history and place - the bar is made from reclaimed wood, the booths came from a church in southwest Atlanta, and the lamps came from an abandoned building downtown. Just over a year old, Georgia Beer Garden has becoming a meeting place for a variety of community groups, and also supports local charity fundraisers.